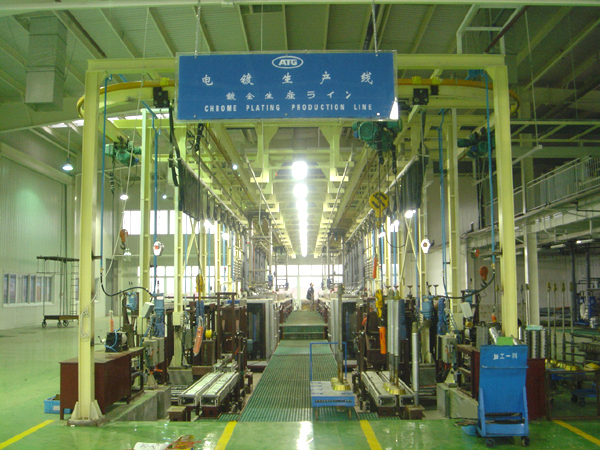 Sifang put forward the first piston ring chrome-plating production line under computer fuzzy intelligent control in our country in the year of 1999, and kept on making improvements afterwards to sequentially propose piston ring peripheral chrome-plating, piston ring interior chrome-plating, and piston ring B-direction chrome-plating production lines. 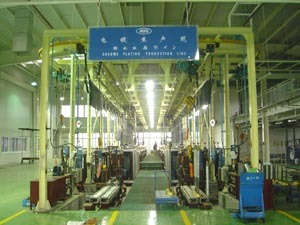 Yizheng Shuanghuan Piston Ring Co., Ltd., NPR Auto Parts Manufacturing (Yizheng) Co., Ltd., Dongfeng Automobile Bearing Co., Ltd., Teikoku Piston Ring Vietnam Co., Ltd.
Once a piece number is input, operations of conveying system, operations of single machine, and rectifier output can be automatically adjusted. 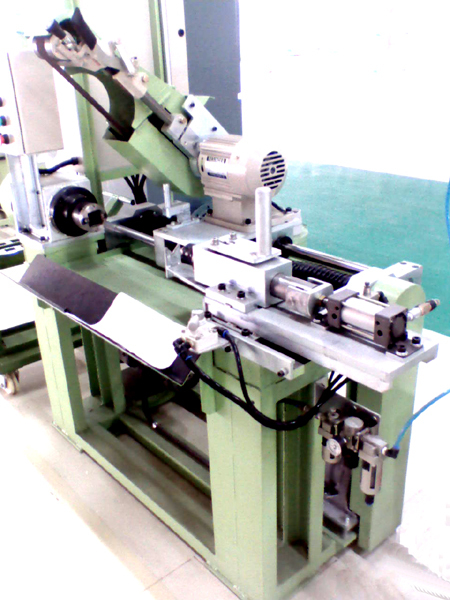 Moreover, products of different specifications are simultaneously plated on line. 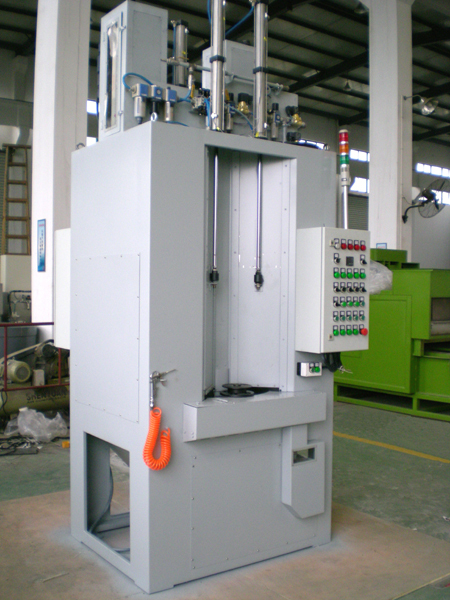 The anode rod adopts a positioning device at the bottom, so as to avoid thickness deviation of the plating layer caused by the bending of the bottom part of the anode rod. 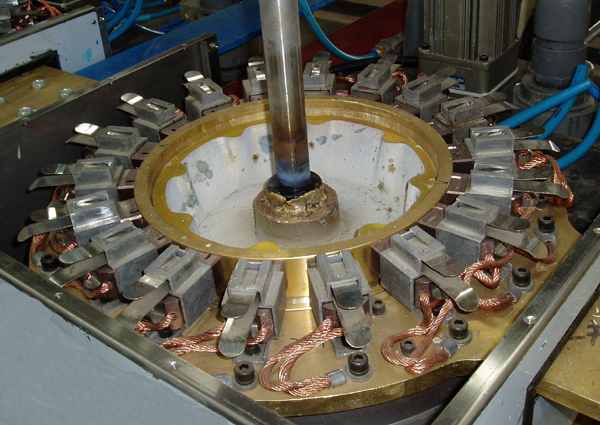 Carbon brush is employed, and the conductive position is forcefully cooled by cold water, so as to ensure preferred conductivity between the core rod of the work piece and the polar mount, thereby reducing the power consumption. 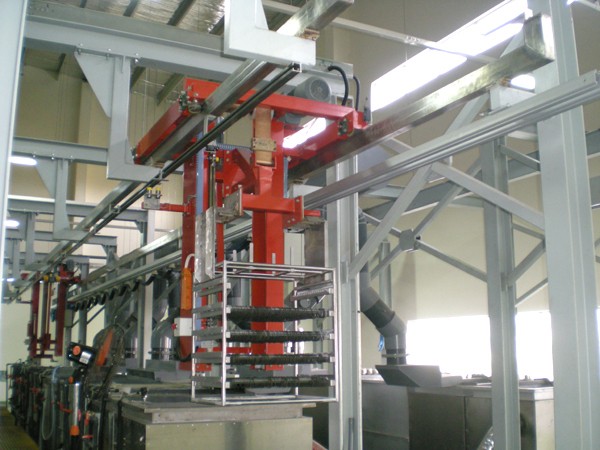 Double-hook conveying system is adopted to save the time for conveying the work piece back and forth. 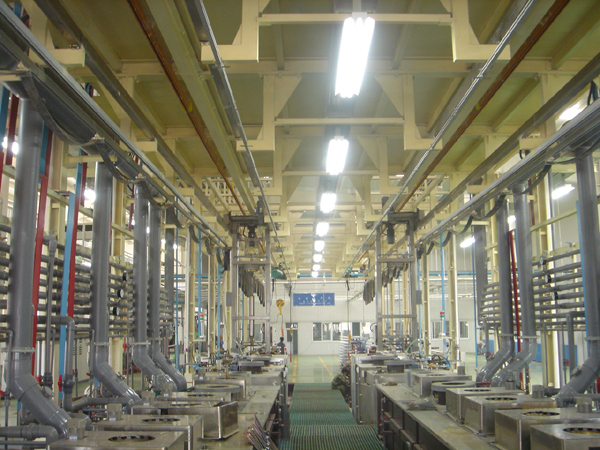 Once the work piece is taken out of the tank, the next one is immediately put therein to reduce the idle time, thereby improving the equipment efficiency. The spray nozzle of the sand-blaster is made of a special material under a technique introduced from Japan, and the nozzle is replaced every two months (continuously running on three shifts). 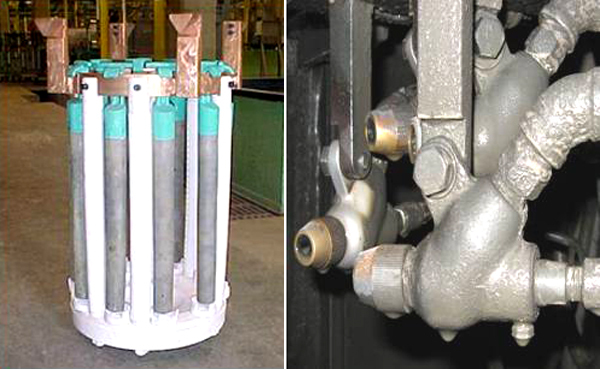 The electroplating finger is made of an imported epoxy resin, and lasts for about ten years, thereby reducing the expense on soft plastic replacement and the loss of equipment suspension caused by soft plastic replacement.